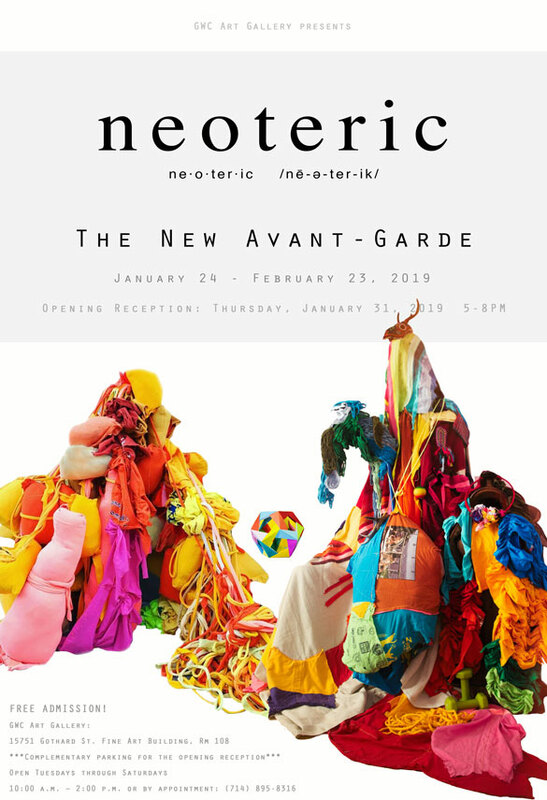 “Neoteric” brings experimental practices in art together to celebrate color with avant-garde concepts to add energy and whimsy to the practice of art making. This exhibition combines the genius of local Southern California fiber artists, photographers, sculptors, illustrators, designers, and painters to explore new media through their experimental practices. This exhibition highlights the compelling underground art movements taking place all around us. Come celebrate the opening of this monumental exhibition with us on Thursday, January 31, 2019, 5-8pm at the GWC Art Gallery in the Art Dept. The exhibition will remain on view through February 23, 2019. Refreshments will be served at the reception. Parking is free for the reception event. GWC Music professor Tom Kubis wrote all of the musical arrangements for "Big Band Beat," the highest rated, biggest selling jazz show in the history of Disney-Japan.